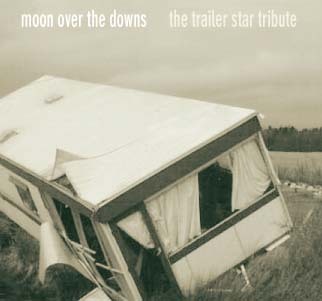 "Moon Over The Downs: A Trailer Star Tribute"
over this past year is without any doubt this captivating album. Twin Peaks-like world of Trailer Star. so please do yourself a favour and go out and buy the damn thing! Then again any quote from any song would sum this superb compilation. including Cicero Buck and Bob Cheevers "
and several warrant hefty use of the repeat. 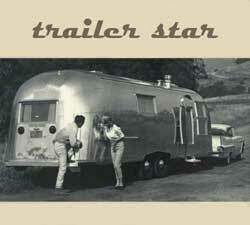 Old Trailer would have been darn proud"
"Well, the CD is much much better than I thought it would be. charity album with partial proceeds to go to Cancer Research UK." Available from Super Tiny Records! alt-country and singer-songwriter field. Full tracklist and artist details on 'lyrics' page. ad campaign this project will raise funds for Cancer Research UK. and maximum of £8 from sale of each disc will go direct to the charity. After basic costs ALL money made from sale of discs will go to Cancer Research UK.